Islamic finance has been growing rapidly across the globe. According to a recent report, the Islamic finance market currently stands around $1.9 trillion. With this growth, its application has been extended into many areas—trade, real estate, manufacturing, banking, infrastructure, and more. However, it is still a relatively untapped market for public-private partnership (PPP) financing. 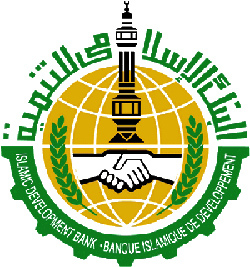 A new PPIAF-funded report by the World Bank Group and the Islamic Development Bank Group represents the first systematic effort to capture and disseminate knowledge on deploying Islamic finance for infrastructure PPPs. Our discussion will address how Islamic finance has already been applied in infrastructure projects through PPP schemes, what are the structural challenges and solutions, and what can be done to deepen and maximize the use of Islamic finance for this purpose. To see the detailed agenda, please click here. Operations Analyst, Infrastructure, PPPs & Guarantees, World Bank Group.